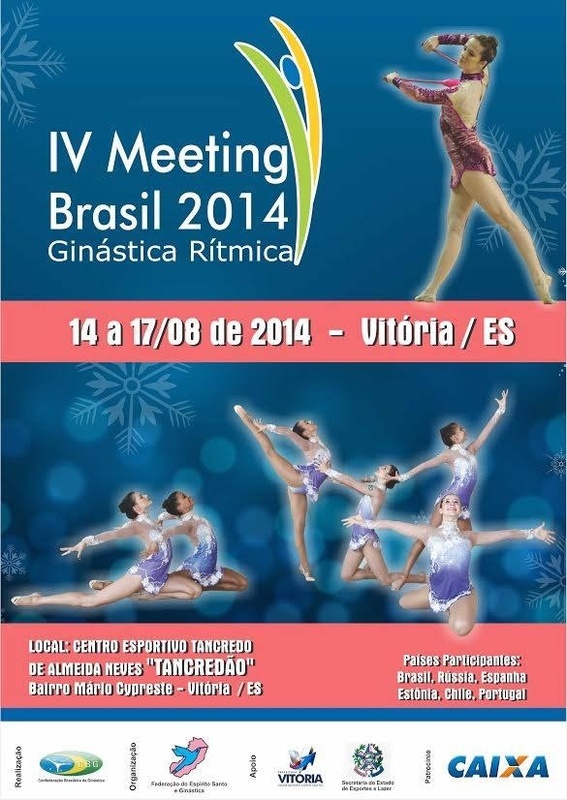 Russian gymnastics star, Alexandra Soldatova won last weekend in Brazil “IV International Meeting” where European and Southamerican teams took part. Alexandra is number four gymnast in Russian national team ranking, behind current World Champion Yana Kudryavtseva, Margarita Mamun and Maria Titova. Alexandra Soldatova is coached by Anna Shumilova and used to train in Dynamo Dmitrov School of Gymnastics. Succesful Russian gymnasts such as Daria Kondakova, Adel Galina, Ekaterina Malygina and Olympic Champion Alina Makarenko trained here too. 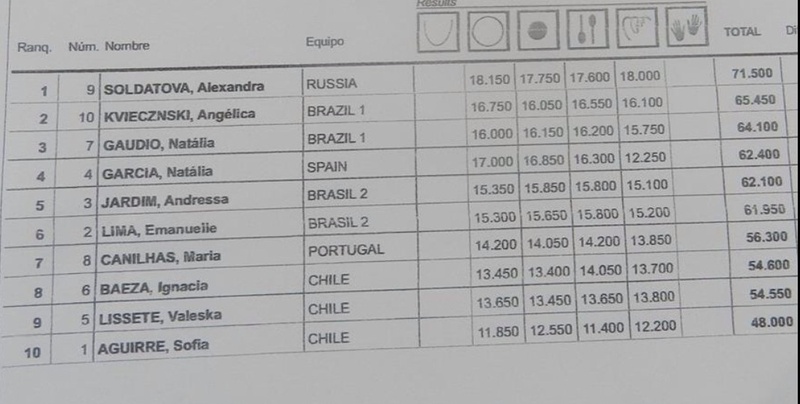 Spanish group (Lourdes Mohedano, Alejandra Quereda, Artemi Gavezou, Sandra Aguilar and Elena López) beat the favorite, Russian group with 10 clubs. Local gymnasts, Angelica Kvieczynski and Natalia Gaudio ranked second and third.